ARTiPLAQ™ custom plaque mounting is an affordable alternative to picture framing and is fabulous! 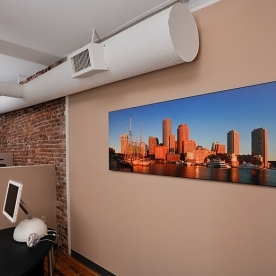 Folks unfamiliar, initially request: "wood mount posters," "float mount prints," or "plak mount art." But customers who buy handcrafted ARTiPLAQ™ products know there is no mistaking our quality plaq mounts and float mounts, made and shipped from our workshop in Maine, in the USA. We archival print your photos and NOAA nautical charts, or you can mail prints to us. Using the highest quality DRYTAC drymount and laminating adhesives, your images is encapsulated and permanently bonded to a smooth-surfaced, recycled-reclaimed wood board, so it will not buckle, wrinkle or fade. UV protected. No glare. No glass. Edges are finished in a variety of colors for a frame-free contemporary look, that comes ready to hang on the wall. Choose ARTiPLAQ™ for custom photo plaques, art print poster plaques, wood mount posters, float mount prints, plak mount art, photo plak mounts, box mounts, plaq mounted world maps, kid's art plaks, certificate award plaques, vintage ski and car posters, plaqued trail maps, and especially, our nautical chart plaque mounts and more! Create beautiful custom plaque mounts from YOUR photos, art prints, or NOAA nautical charts. Upload your digital image, OR Select a nautical chart, OR Mail us your artwork. Choose your style, size and edge color. 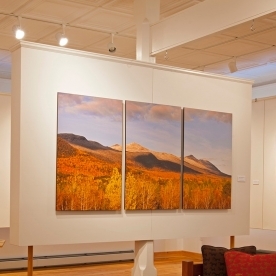 We'll custom ARTiPLAQ™ mount your print at our workshop in Maine. Enjoy your custom art. Shipped right to your door, ready to hang.